The former Staples stationery chain, Office Outlet, is in administration, putting 1,200 jobs at risk. The retailer has no connection to the online-only business which trades under the Staples UK name. Office Outlet, which is part-owned by Hilco, the former HMV owner, has 90 UK stores, which will continue to trade while a buyer is sought. Office Outlet chief executive Chris Yates led a management buyout of the company last September, leaving Hilco as a minority owner. 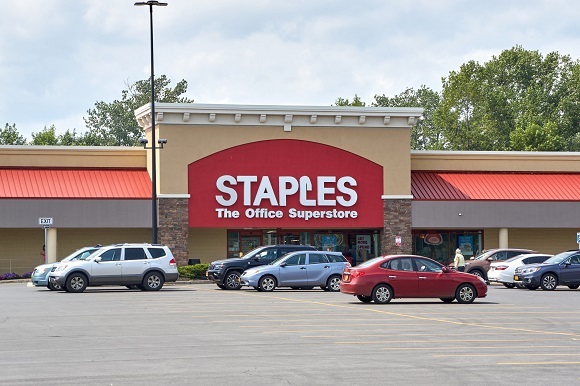 “Over the last two years the business has been transformed from the heavily loss-making old Staples business to a near break even modern multichannel retailer,” Mr Yates said. But he went on to say he was hopeful that a buyer could be found and that the business would carry on trading “with that in mind”.